In the late nineteenth and early twentieth centuries, prominent social thinkers in France, Germany, and the United States sought to understand the modern world taking shape around them. Although they worked in different national traditions and emphasized different features of modern society, they repeatedly invoked Jews as a touchstone for defining modernity and national identity in a context of rapid social change. 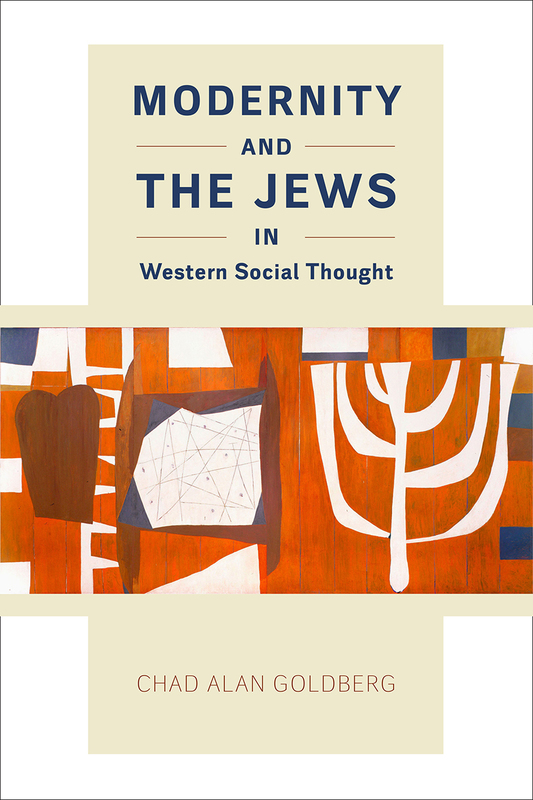 In Modernity and the Jews in Western Social Thought, Chad Alan Goldberg brings us a major new study of Western social thought through the lens of Jews and Judaism. In France, where antisemites decried the French Revolution as the “Jewish Revolution,” Émile Durkheim challenged depictions of Jews as agents of revolutionary subversion or counterrevolutionary reaction. When German thinkers such as Karl Marx, Georg Simmel, Werner Sombart, and Max Weber debated the relationship of the Jews to modern industrial capitalism, they reproduced, in secularized form, cultural assumptions derived from Christian theology. In the United States, William Thomas, Robert Park, and their students conceived the modern city and its new modes of social organization in part by reference to the Jewish immigrants concentrating there. In all three countries, social thinkers invoked real or purported differences between Jews and gentiles to elucidate key dualisms of modern social thought. The Jews thus became an intermediary through which social thinkers discerned in a roundabout fashion the nature, problems, and trajectory of their own wider societies. Goldberg rounds out his fascinating study by proposing a novel explanation for why Jews were such an important cultural reference point. He suggests a rethinking of previous scholarship on Orientalism, Occidentalism, and European perceptions of America, arguing that history extends into the present, with the Jews—and now the Jewish state—continuing to serve as an intermediary for self-reflection in the twenty-first century.